Let’s face it. Technology is great, but it is not flawless. Just ask Kemble Widmer, aka Macchiato Man, who lost a track after a long ride near Sargents when his Apple watch glitched during the Strava upload. He went back and repeated the same ride the very next day. But, this could have been avoided if he had been tracking using his cell phone too. Or, take my example. I ended up in the water once in a fluke crash while crossing a stream. I had my phone in my pocket and the water did not-so-good things to my phone. By chance, the track still ended up working. But, I got lucky that time. If in the event that you only have a phone where you can track, consider using multiple tracking apps. TrailQuest integrates well with Strava. But, you can also use GPX programs like Gaia to help both track and navigate. Last, make sure you ask friends that tag along on your whacky adventure to track the ride too – you never know when you’ll need it! Smart phones have changed how we move through the world. Chances are you’re using your phone to navigate, to track your ride, and to take pictures. On longer rides, especially those that require intense navigation, you will probably be burning through your battery pretty fast. Having an extra battery pack to charge your phone mid-ride is highly advised. I prefer the kind that snap on to the back of my phone like a case, making it easy for me to keep it in my pocket and still ride while it’s charging. I never invested in this, but there were at least a dozen or so rides that I wished I had. On rides where navigation is difficult, having a way to mount your phone on your handlebar can really help improve your time. Or, you could just do what I did and end up taking your phone out of your pocket every 2-3 minutes for hours on end. You won’t need this handlebar mount for every ride. But for the areas near Curecanti, Paonia, and Crawford, as well as the Lowline Trail near the Castles and western regions of Fossil Ridge, it’s a worthy investment. If you’re worried about crashing while your phone is attached to your handlebar, simply remove your phone from the mount when the riding gets good. You may have a friend or two who is willing to join you on a handful of the sufferfest rides. If you know someone who is willing to do more, then you’re incredibly lucky. But, while projects like these are open to everyone, not everyone is actually motivated for such a feat. Riding solo is sometimes an option, but you’ll find rides go by faster with partners in play. Reach out to other TrailQuest riders on the Leaderboard and to the TrailQuest Hub Facebook page. Chances are, if you’re both into doing something like this, you’ll get along fabulously! 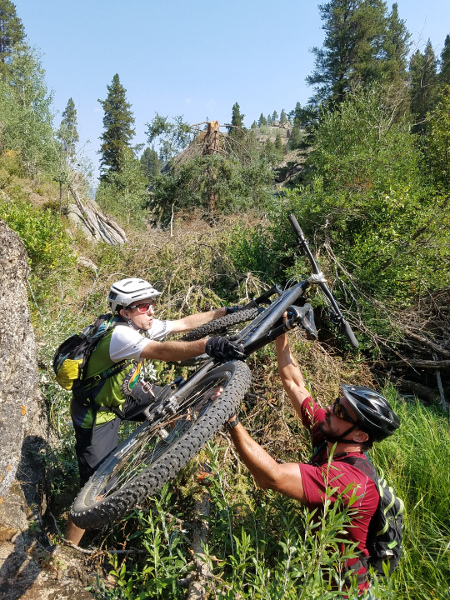 Kemble Widmer explains another casualty of TrailQuest. Don’t be the guy (or gal) that is the junkshow of the ride. Be prepared. Make sure you have all the equipment you need for a given day – ample water, extra clothes, a rain jacket (even if the chances of rain are low, it still could rain). On longer rides I make sure to take extra gloves, a hat, and a headlamp (because things might not go as expected). I also carry two extra tubes, a pump, a patch kit, a multitool, extra brake pads, and even an extra derailleur hanger since mine is particularly prone to snapping on the fly. Having tools to fix your bike in the field is important. But, preventing things from breaking is better.If you are not a bike mechanic, take time to have your bike regularly serviced and inspected by an expert. Aside from having your gear in order, you also need to be prepared in terms of your route. How well do you know your route? What bail out options do you have should something go unexpectedly wrong? Do you have an emergency plan in place? 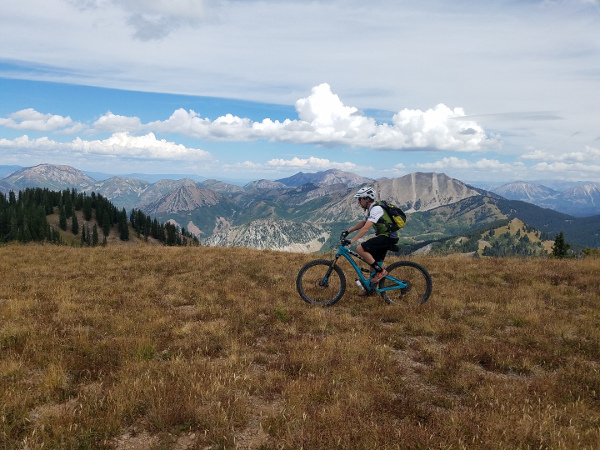 We recently invested in an DeLorme inReach Mini which tracks our route and makes it available on a website, which is especially useful to have this kind of monitoring when riding solo. The inReach also allows us to communicate through text via a satellite connection. Furthermore, there is an SOS button we can engage which will notify proper authorities should something go wrong. 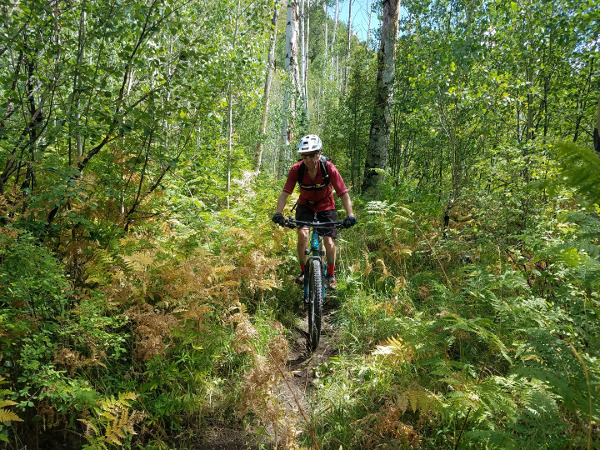 While tall socks are not necessary for the majority of TrailQuest miles, there are lesser traveled areas that tend to get overgrown with thick and unforgiving brush that can scratch your legs over and over again. This constant chafing over hours puts a lot of wear and tear on your legs. 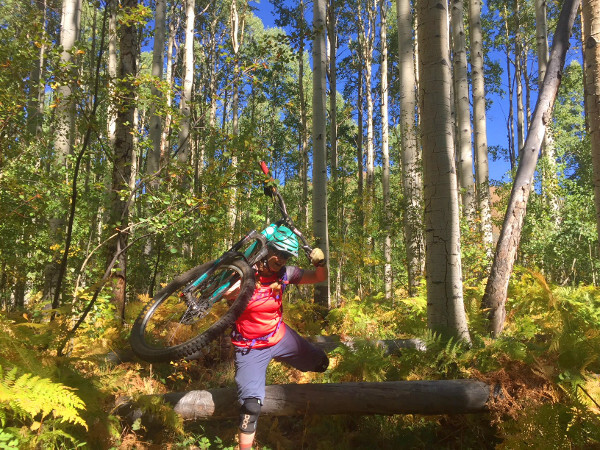 These are the trails where tall socks can make or break the ride. When in doubt wear the tall socks. Oh, and stay away from white! I have very few regrets with the planning I did to accomplish the TrailQuest Challenge. My only regret is that I saved some of the harder areas for last. Now, everyone has a different idea of what “hard” is. 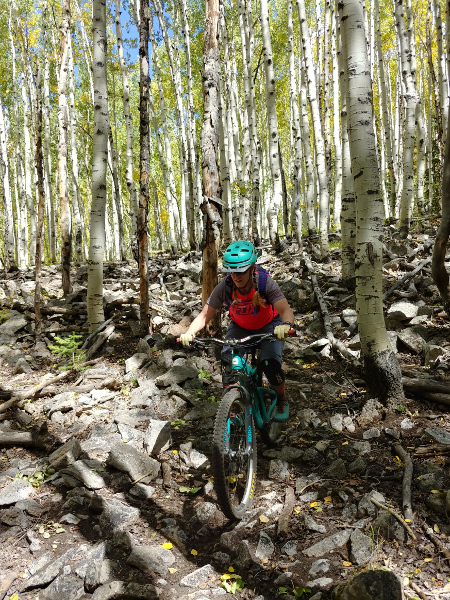 But, in my case, “hard” trails are not so much technically challenging as much as offer challenges in navigation and obstacles (think fallen trees, lots of cow dung, and thick brush). 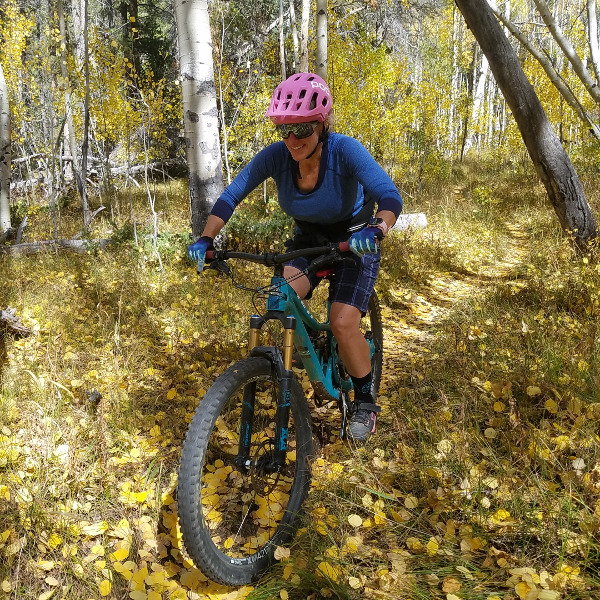 I ended up doing a lot of these trails in the last couple of months of my TrailQuest journey – enough so that I rarely was able to enjoy an actual “good” ride. Putting these rides at the end makes the effort more mentally challenging. It would be better to intersperse these with some more “fun” rides in between. CBG Trails is a great navigation app. But, this app does not allow you to see mileage or generate an elevation profile as concisely as other map programs. These things are good to know when planning your route in order to estimate your time and determine which way you should ascend/descend. My favorite route generating tool is CalTopo.com. You can easily use this free online tool to plot a track and then view the total distance and elevation profile. You can even export a track and import it to your GPX app of choice. As you venture into more and more lesser known areas, tools like these become essential to route planning. 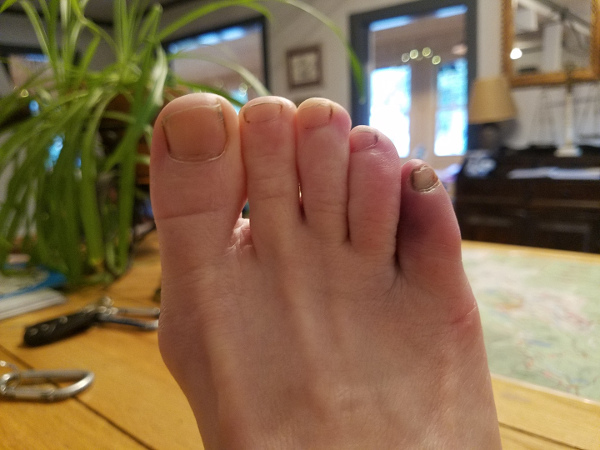 My TrailQuest adventures resulted in both a broken toe and a broken tailbone. Neither of those stopped me from riding for very long! TrailQuest is broken down into 10 different regions. Depending on where you live or are traveling from, some regions may be farther and harder to reach than others. More than likely, a region may have a series of trails that connect together, causing several different looping options. 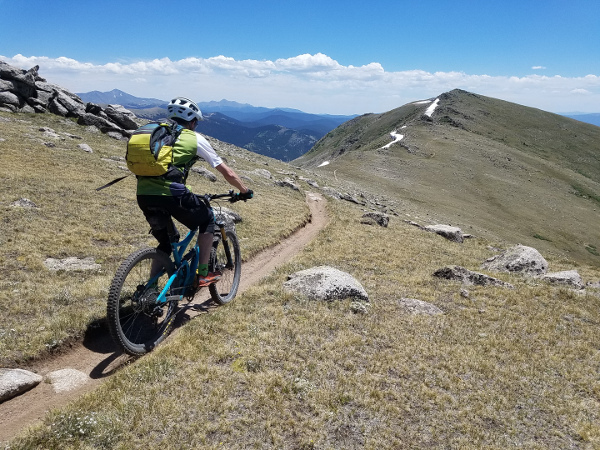 For those more outlying regions you may want to plot out how you will ride loops such as these to minimize overlapping trail and maximize your efficiency. Obtaining the 750+ unique miles required to complete the TrailQuest challenge is no easy feat. In order to obtain this mileage, you really need to maximize your rides. This means that you can’t let little “stems” of trail go by the wayside. In other words, if you have a large loop, but there’s a little mile or so “spur” included in the contest that goes as an out-and-back to a road or another trail you have done (or is not included in the contest), you really need to take the time to complete that short segment. Otherwise, you may find your total mileage coming up short in the end, or you may have to repeat rides to get the little spurs you previously missed! TrailQuest isn’t just about challenge. There are plenty of smiles in there too! TrailQuest is one demanding challenge whose pursuit can strengthen and improve you as a person. Along the way, you’ll experience elation and inspiration, adversity and misery. You’ll explore places many have not ventured. You’ll lay eyes on some stunning landscapes, and likely cross the paths of moose, elk, bears, and even mountain lions. But, the hardships will be worth it in the end. You’ll look back and say, “Wow, what a crazy ride.” And you’ll find yourself thirsty for more! So, get out and explore with TrailQuest!